Devonshire Cream Tea for only £5.50 per person! Afternoon tea, that most quintessential of English customs is, perhaps surprisingly, a relatively new tradition. Whilst the custom of drinking tea dates back to the third millennium BC in China and was popularised in England during the 1660s by King Charles II and his wife the Portuguese Infanta Catherine de Braganza, it was not until the mid 17th century that the concept of ‘afternoon tea’ first appeared. Afternoon tea was introduced in England by Anna, the seventh Duchess of Bedford, in the year 1840. The Duchess would become hungry around four o’clock in the afternoon. The evening meal in her household was served fashionably late at eight o’clock, thus leaving a long period of time between lunch and dinner. The Duchess asked that a tray of tea, bread and butter (some time earlier, the Earl of Sandwich had had the idea of putting a filling between two slices of bread) and cake be brought to her room during the late afternoon. This became a habit of hers and she began inviting friends to join her. This pause for tea became a fashionable social event. During the 1880’s upper-class and society women would change into long gowns, gloves and hats for their afternoon tea which was usually served in the drawing room between four and five o’clock. 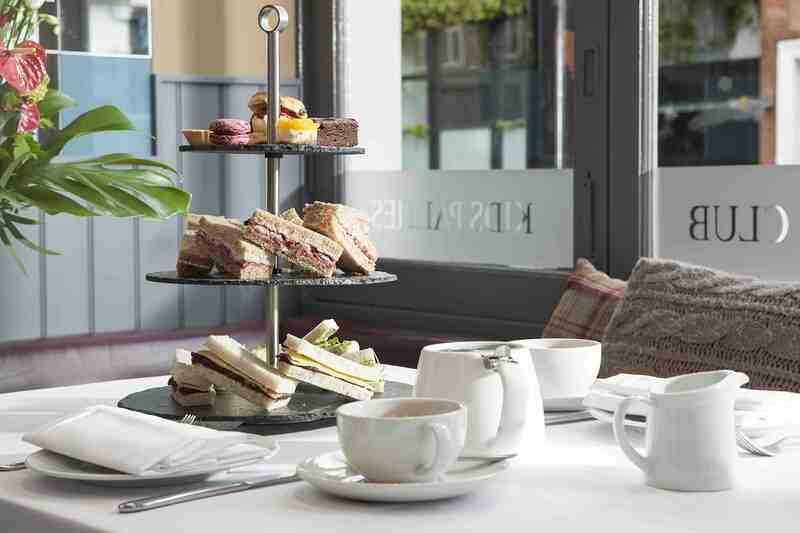 Traditional afternoon tea consists of a selection of dainty sandwiches (including of course thinly sliced cucumber sandwiches), scones served with clotted cream and preserves. Cakes and pastries are also served. Tea grown in India or Ceylon is poured from silver tea pots into delicate bone china cups. Here at Beaufort House Chelsea we offer both a Champagne Afternoon Tea (£30) and a Traditional Afternoon Tea (£20), but if you want something a bit more simple why not try our Devonshire Cream Tea, which consists of a scone, strawberry jam and the vital ingredient, Devon clotted cream, along with a pot of tea of your choice all for only £5.50. Book today either online or by calling our reservation team on 020 7352 2828.